Caption slip reads: "Photographer: Snow. Date: 01-21. Reporter: Kline. Assignment: Racket hearing. 77-78: Al Silvers. 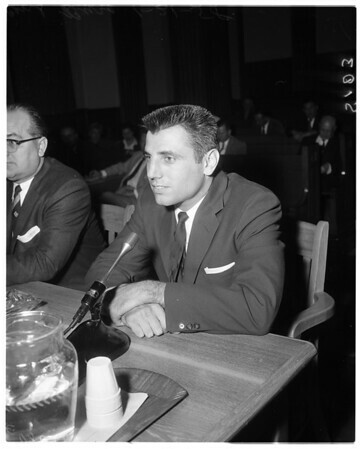 41-42-3: Tom Simone. 4-31: Ray Gordon. 103-104-32: Gene Burg. 93-94: Richard Mastrosimone. 51-52: Joe Capitano".